Residential Service Areas | J.O. Mory Inc.
You can call us any time at 800-288-2269 – We are available 24 hours a day, seven days a week. Your comfort is important to us, and that’s why J.O. Mory and our team of professionals are good for your home. 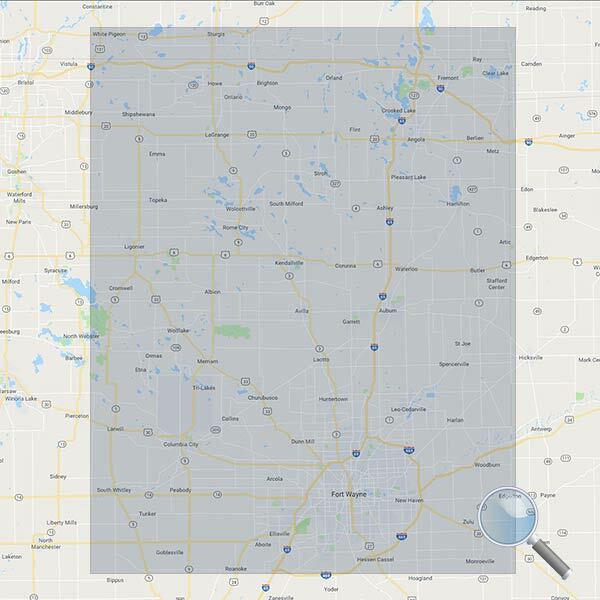 Our two offices in Fort Wayne and South Milford allow us to service a wide area including northeast Indiana and southern Michigan. 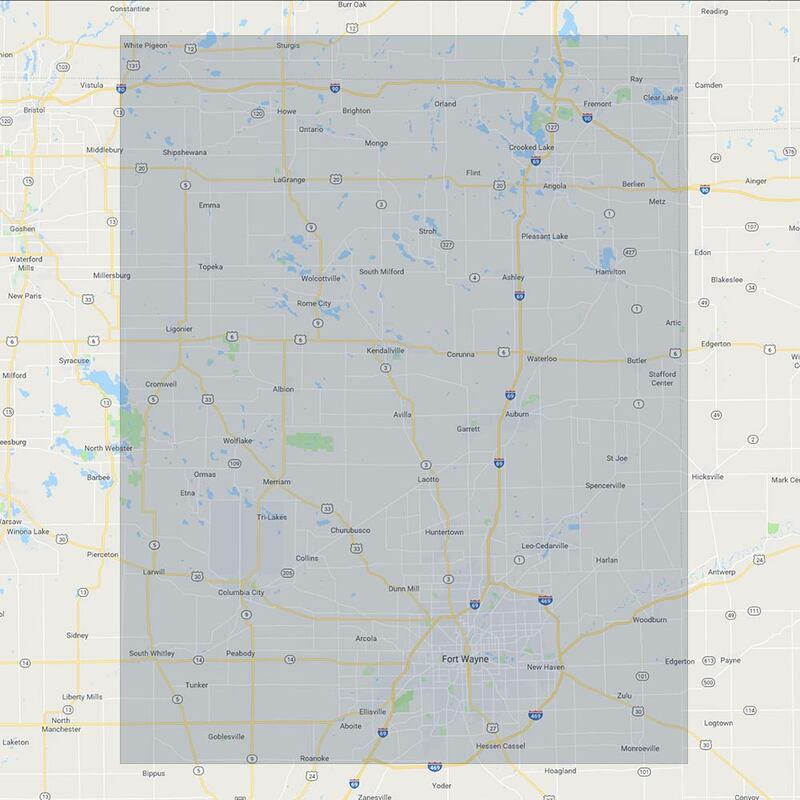 You will find our residential service trucks working in Allen, Noble, Whitley, LaGrange, and Elkhart counties in Indiana and St. Joseph and Branch counties in Michigan. We’re always here to help with your electrical, plumbing, heating, and air conditioning needs!